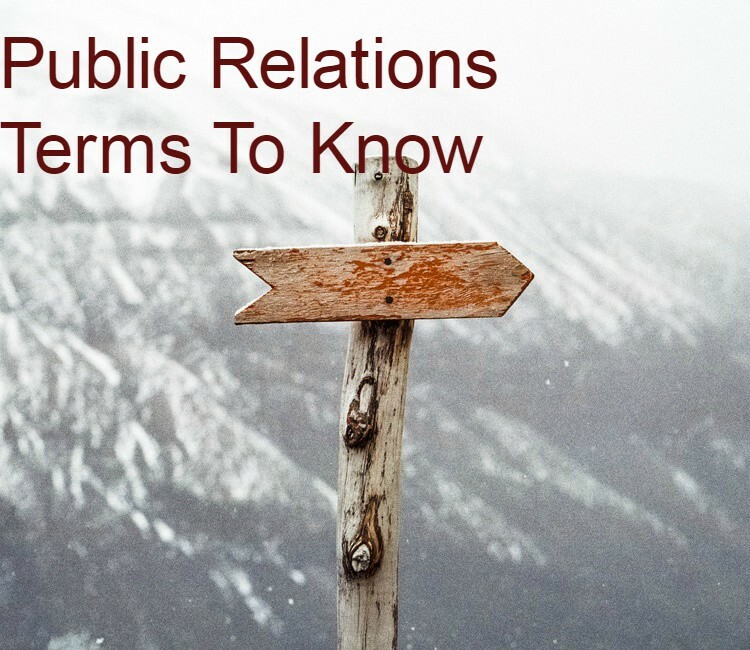 Every industry has its jargon, and PR is no exception. Some industry-speak can be overblown and annoying, used solely to show how “in-the-know” one may be. However, other words and phrases are important and necessary shorthand to get the job done. We all know how much the business has changed since its beginnings in the early 1900s. We no longer use a literal “clipping service”, we don’t care if a contact’s name is in your Rolodex, or if anyone is using “Bacon’s”. But there’s an entire PR lexicon to learn and new terms coming all the time. We’ve selected some au courant vocab from PR circles as well as some tried and true terminology to make sure you’re up-to-date, and just for fun we’ve put it in a quiz format. Just insert the right term into each sentence from the list below. Scroll down for answers and see how well you do. Good news! The ____________ ___________ program we put together for this B2B assignment is showing great results. What were the original ___________ for the program? It seems like the metrics have changed. We can’t use that ______________ for posting at the event, it’s way too long. That was a productive weekly client call, recommend you update the ________________ right away to capture for next week. It was great to send our client the ___________ __________ this am, full of positive coverage for the company. We appear to be really well-matched with this prospect. On the strength of our __________, they want to schedule an in-person. Since the company changed hands, our new releases will have to have an updated __________. The interview went really well, it just shows how important it is to craft a well-researched _____________. Even with all the edits and back-and-forth, the pub still isn’t happy with the way our CEO’s _________________ was written, back to the drawing board. The announcement release was under ____________, so we did some ____________ and already scored a ton of interest. We were able to make the client comfortable enough to speak on _________ not for ____________ so the freelancer for the outlet is happy too. Despite intense media training, our spokesperson could not keep the _______ ________ straight in an interview. Good news! The thought leadership program we put together for this B2B assignment is showing great results. What were the original KPIs for the program? It seems like the metrics have changed. We can’t use that hashtag for posting at the event, it’s way too long. That was a productive weekly client call, recommend you update the dashboard right away to capture for next week. It was great to send our client the media monitoring this am, full of positive coverage for the company. We appear to be really well-matched with this prospect. On the strength of our capabilities, they want to schedule an in-person. Since the company changed hands, our new releases will have to have an updated boilerplate. The interview went really well, it just shows how important it is to craft a well-researched briefing doc. Even with all the edits and back-and-forth, the pub still isn’t happy with the way our CEO’s byline was written, back to the drawing board. The announcement release was under embargo, so we did some pre-pitching and already scored a ton of interest. We were able to make the client comfortable enough to speak on background not for attribution so the freelancer for the outlet is happy too. Despite intense media training, our spokesperson could not keep the key messages straight in an interview. (1-4 correct answers) PR Beginner – Gain some fluency with these terms so you can be a better communicator in the industry. Do some research to develop a good understanding of each. (5-10 correct answers) PR Intermediate – Clearly you know your stuff, just have a couple of gaps, likely in the more sophisticated terms. (12 correct answers) PR Pro – You’ve been at this a long time or you’re a quick study. Either way, kudos to you on your PR word mastery.